The demands on Internet servers keep growing, with increasing numbers of visitors to sites, greater complexity of Internet traffic and projects that tend to run on ever-larger groups of servers. Development of a custom internal solution is a very costly and time-consuming process for any company. But now there is a new tool that simplifies Linux administrators' work, saves time and money and enables businesses to increase the overall speed and stability of their web servers. SaaS application Bijk.com was introduced in summer 2010, with the sole purpose of providing Linux server administrators with user-friendly, comprehensible graphs. 4) Connect to a Bijk user account. Installation on three servers takes only five minutes. 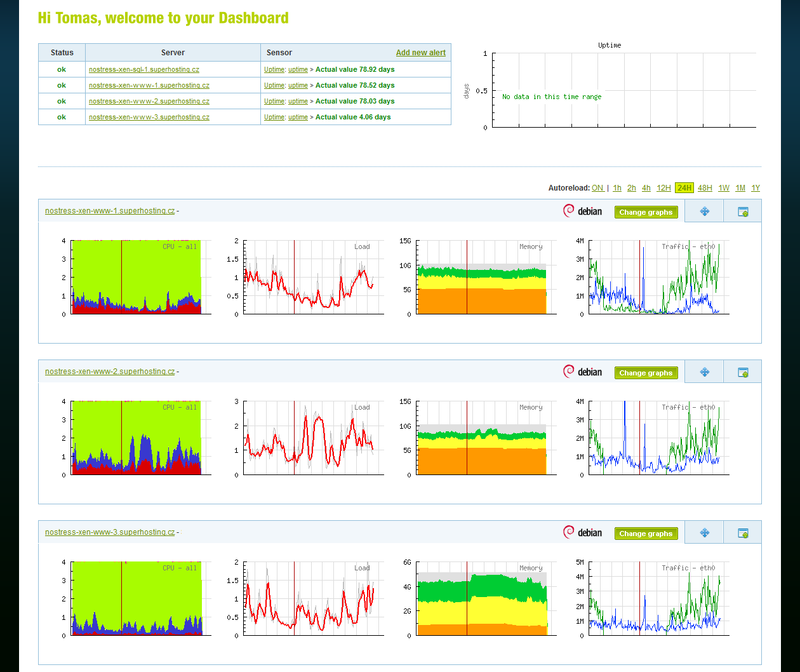 Server monitoring: Bijk.com offers a free and a commercial version, distinguished mainly by the number of servers that can be added in Bijk. Where does Bijk save time? 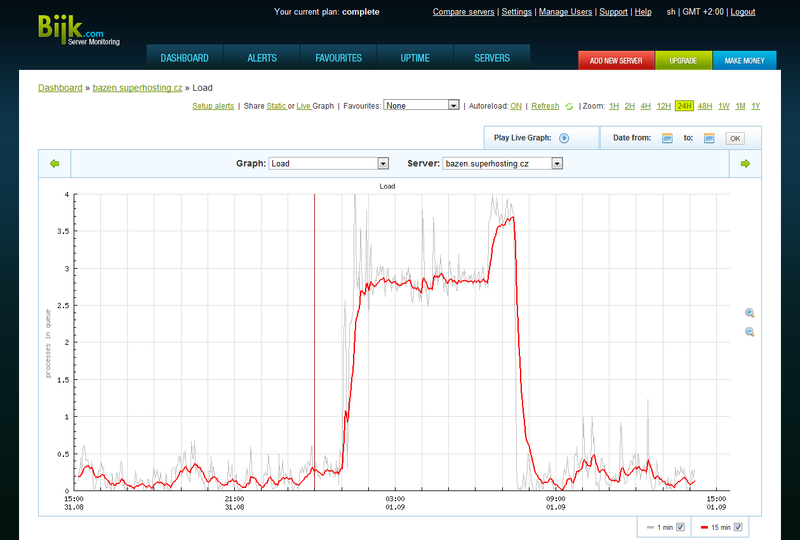 Bijk helps you to search for and prevent many causes of server downtime. You will be notified of changes in load, a full hard drive, increases in traffic and any strange server behaviour by Bijk. 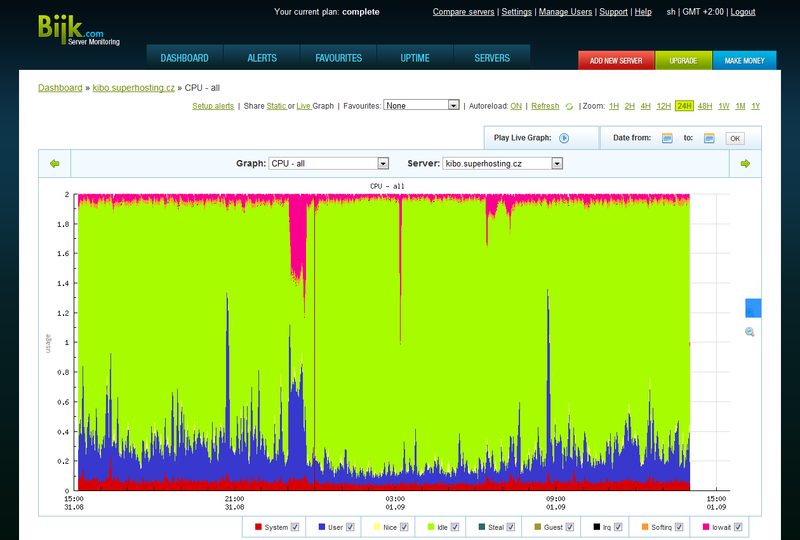 The CPU load chart indicates why the server may be slow. The chart showing the usage of the HDD can estimate the speed at which the drive will fill up and performs usage analysis, which helps to avoid overburdening of the HDD. The advanced Apache and MySQL charting can follow the structure of requirements including page-views, number of SELECT and UPDATE queries and even developments over time – for example, based on an aggregation of memory and disk writes. 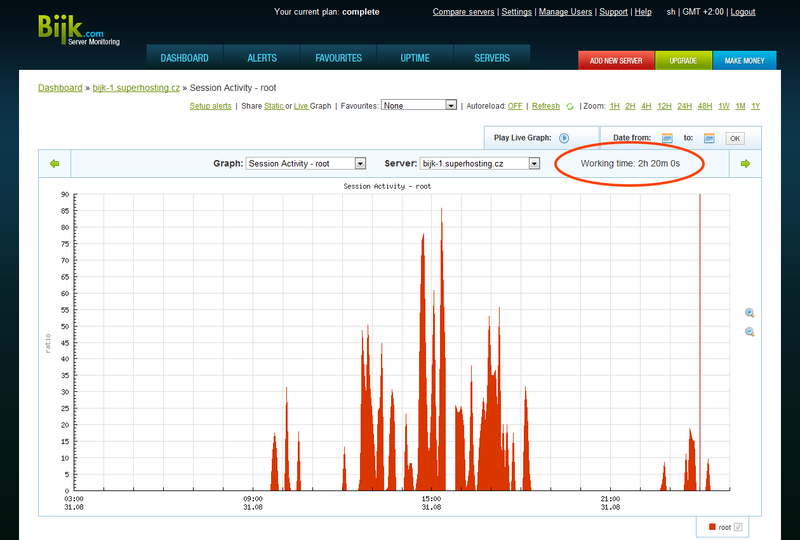 Operating a popular web project, server or database without using a server performance monitoring tool is very risky. There are many smart, simple tools (top, htop, iostat, iptraf and many others), but none of them provide historical analysis of trends and changes that are important for future planning. Every (load, disk space, Apache stats) can be monitored by using a simple user interface, and if min/max limits are exceeded, Bijk will notify you by mobile phone or email alert. If the load on your servers rises rapidly, Bijk sends an SMS to a mobile phone with a direct link to a live graph that you can view direct from your mobile phone. Many Linux administrators work in companies for which the servers and IT environment are only an adjunct to the main business of the company. Linux administrators often find themselves in a situation in which the rest of the company does not understand how much time they need for their work; they cannot even estimate the time spent by admins on servers. In Bijk.com there is a simple function called “Activity time,” which measures the actual time used by Linux administrators on specified servers or groups of servers over any given time period. For all users, the basic version of Bijk is completely free. Add your first server and start Bijking! when you could use cacti or something open? While open source is preferable when looking for software you intend to run on your own servers (computers) Bijk is a service hosted on a reliable data center in Europe. I run monitors in two locations but the network connection themselves are not as reliable as Bijk and I get false hits when one or the other goes down. I use Bijk as my ultimate authority on the connection status of my two main servers. I signed up when it was cheaper but I think it is still a valuable service.